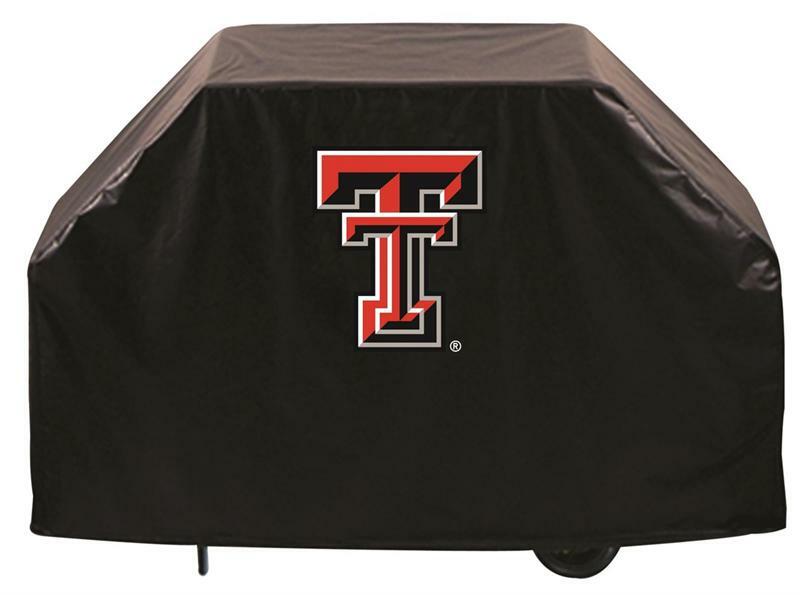 The Texas Tech Red Raiders Grill Cover by HBS is hand-made in the USA using the finest commercial grade vinyl and utilizing a step-by-step screen print process to give you the most detailed logo possible. UV resistant inks are used to ensure exceptional durability to direct sun exposure. This product is officially licensed and is a great way to show your team pride while protecting your grill from the elements. Comes in 60"L x 21"W x 36"H and a larger 72"L x 21"W x 36"H size. Go Red Raiders!! !